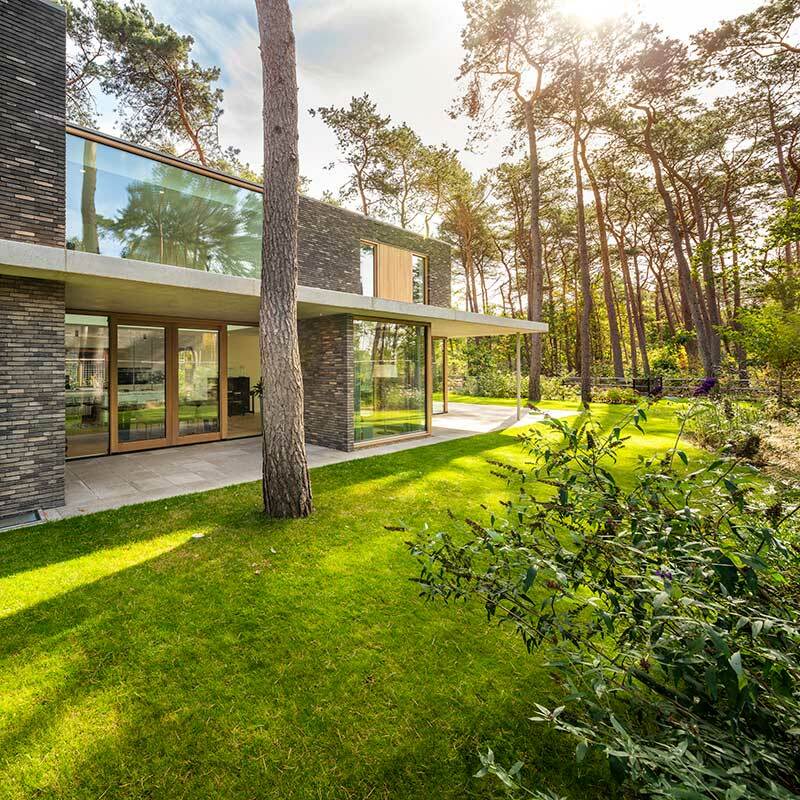 Welcome to the sunny, stony, woodsy wonder that is Villa Zeist 2; perched whimsically amidst a lush green landscape, adding tranquility to this stylish home with a wellspring of eloquent features. 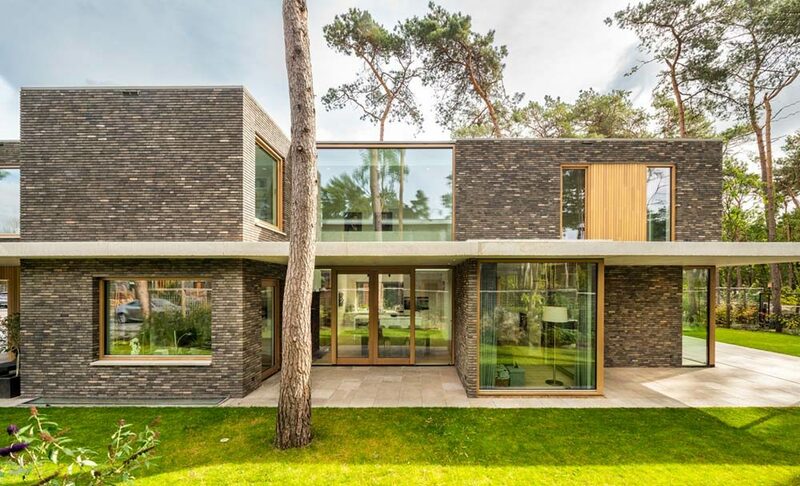 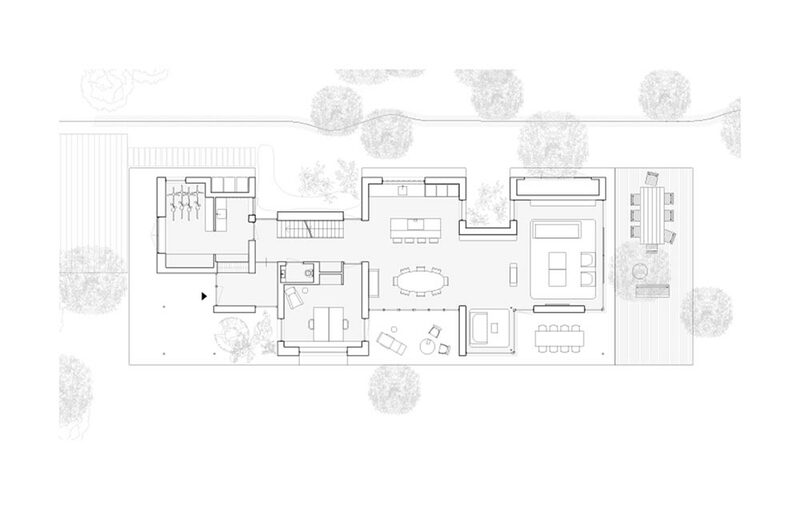 Fueled by flat lines, granule textures and wood grains, the exterior of the home is an intriguing display of all of the above, anchored by a concrete canopy in the center that maintains a solid definition between spaces. 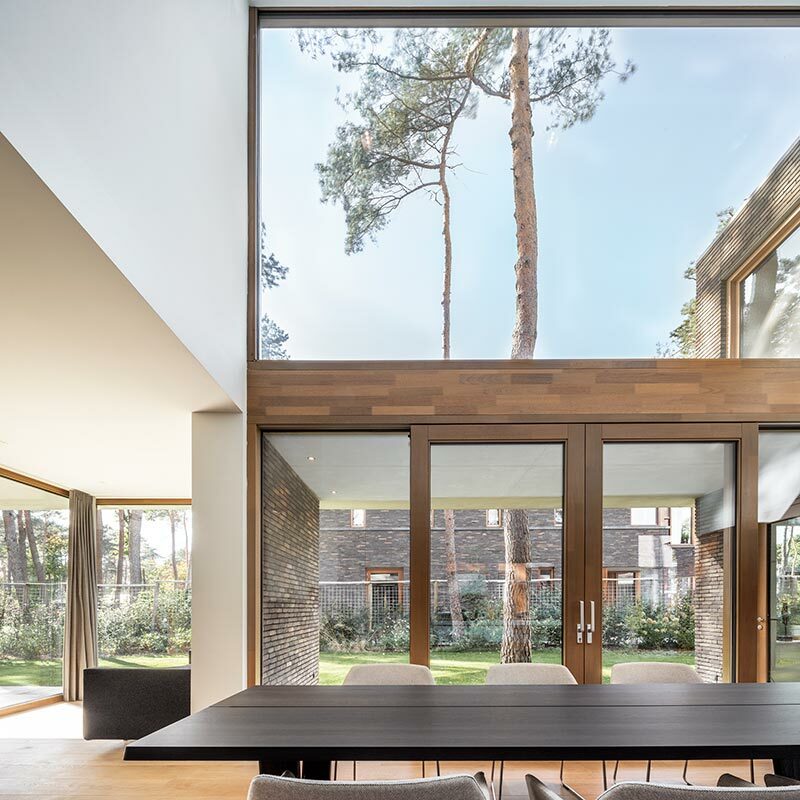 Step inside and a strange thing happens; the outdoors becomes even more enhanced from within, showcased beautifully from the bounty of translucent walls wrapped in rich timber, offset by light wood flooring throughout. 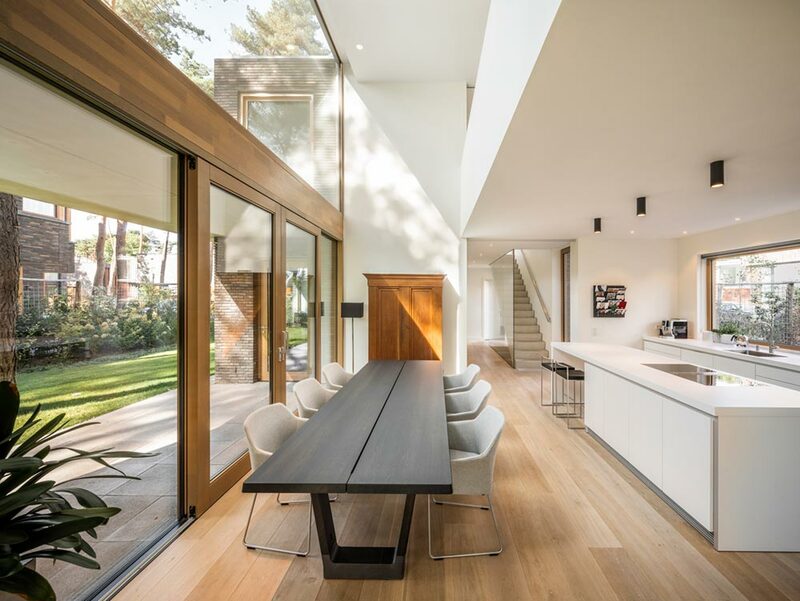 Perfectly posed by flat white tones, this modern villa design allows the dark heavy furniture pieces – such as the living room couch and dining room table, to speak for themselves, without an outweighed contrast. 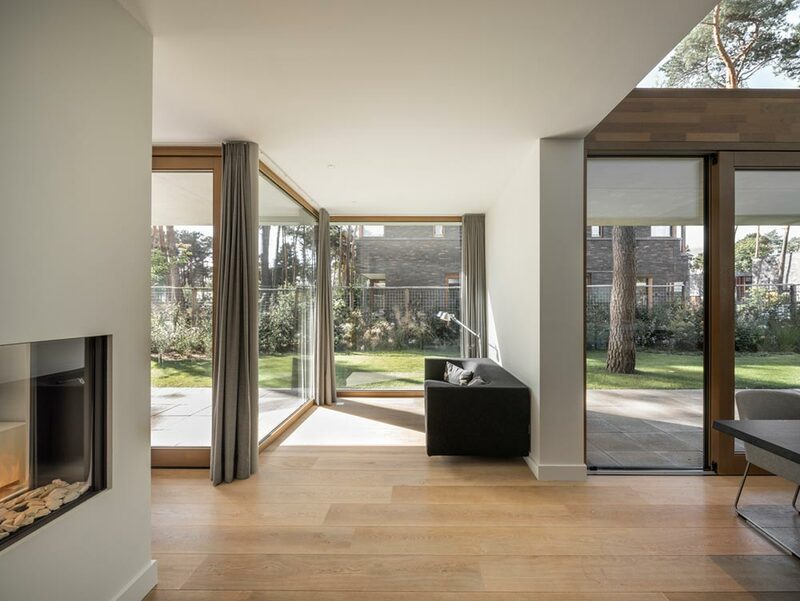 With the warmth and grandeur of the oversized sliding doors, this Dutch delight welcomes you in, allowing the outside to feel like a staple feature in the home, and turning this beautiful villa into the idyllic shade of inviting.